At the beginning of a New Year, we are all wanting to get back into a healthier and cleaner eating routine. The problem is eating healthier and cleaner typically requires more time to prep meals. Which is a whole entire problem in itself, isn’t it? A New Year often means everyone is on a time crunch because it’s catch up time after all the days off during the holidays. This is why healthy crock pot recipes will be your friend. 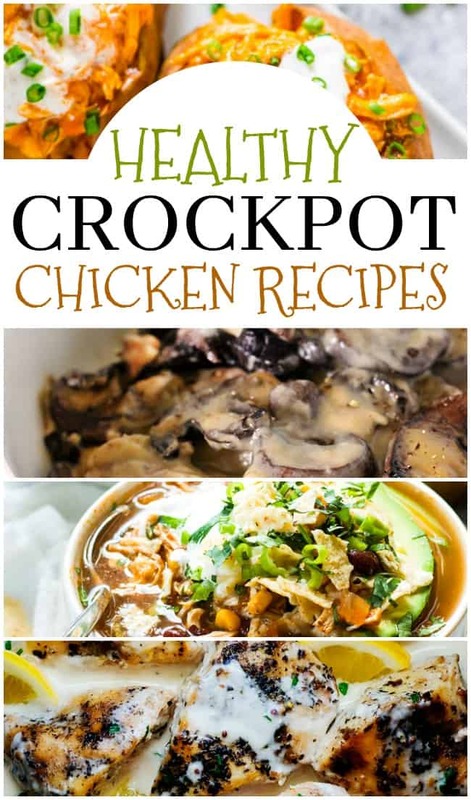 Today I wanted to share with you some of my favorite healthy crock pot chicken recipes. Check them out, I think you will love them too. Are you here because you just got a new Instant Pot as a gift? Electric pressure cookers are awesome! Yes, they used to be scary but not anymore. This kitchen appliance is great for making quick, easy and oh my goodness super tender meat. If you have one then it will be perfect to create all of these healthy crock pot chicken recipes. 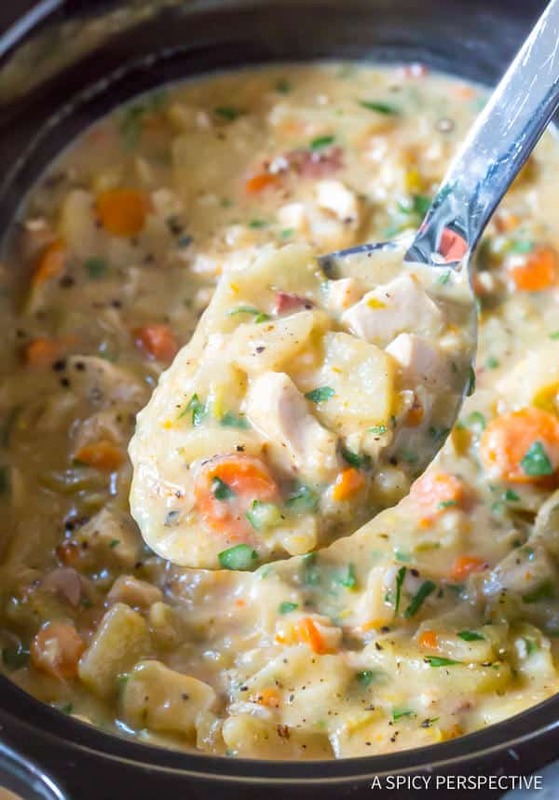 This slow cooker Chicken Potato Soup from A Spicy Perspective looks so incredibly hearty and delicious. Perfect for a cold winter night. Chili doesn’t have to be just made with beef. 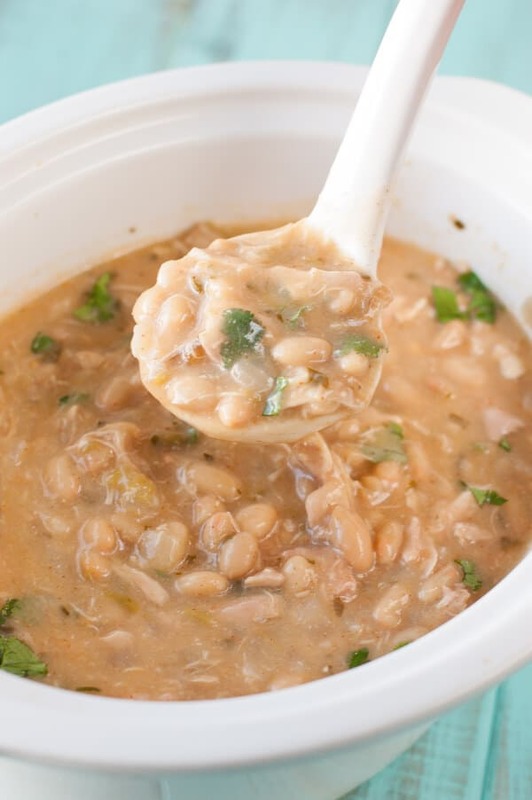 This White Chicken Chili from Clean Eating Recipes is a perfect way to add chicken to your chili meal. 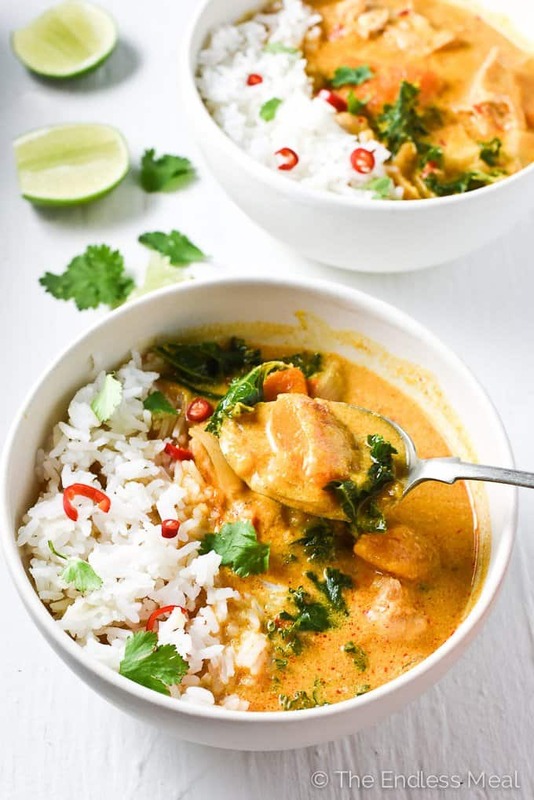 If you are a fan of curry then you will definitely want to add this Thai Chicken Curry recipe to your dinner arsenal. Kristen over at The Endless Meal shows you all of the cooking details. 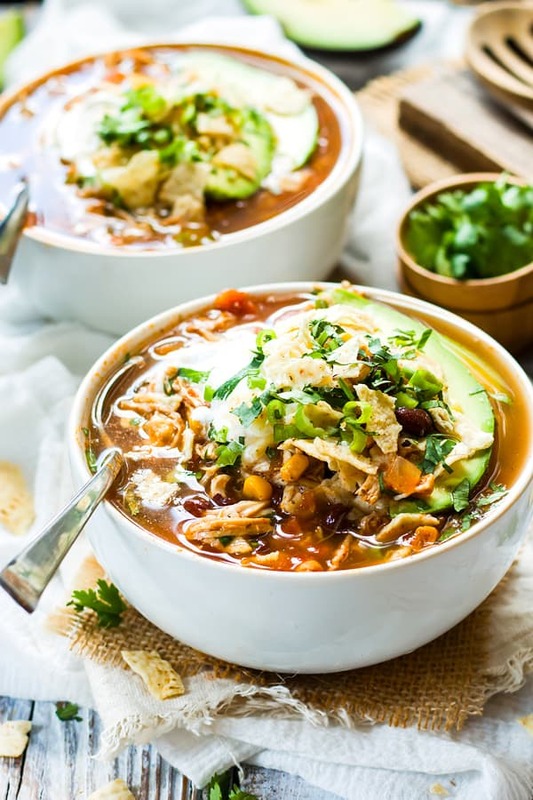 Another great healthy crockpot chicken recipe is Tortilla Soup. London over at Gluten free with LB makes an awesome chicken version and if you are needing to stay gluten free you will love her whole blog. 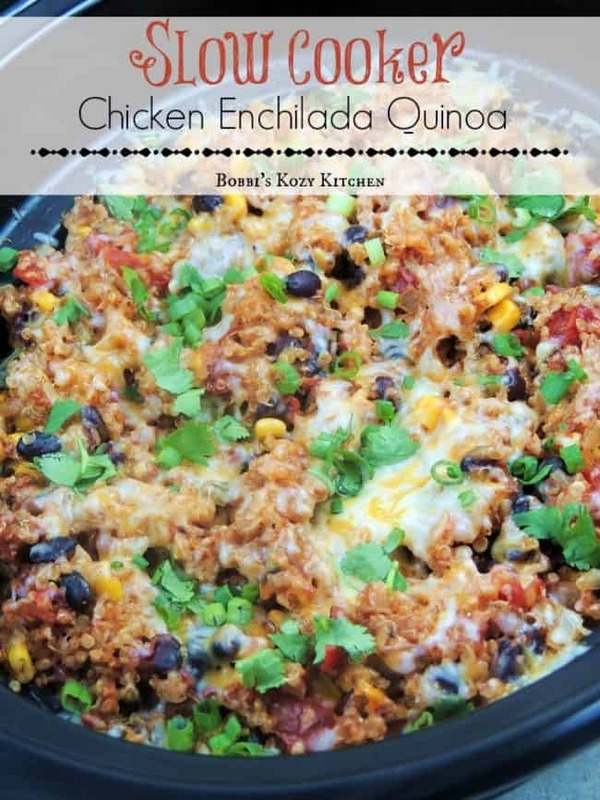 Bobbi from Bobbi’s Kozy Kitchen likes to replace rice and pasta in casseroles with quinoa and makes this Chicken Enchilada dish with quinoa yummy, simple and healthy. 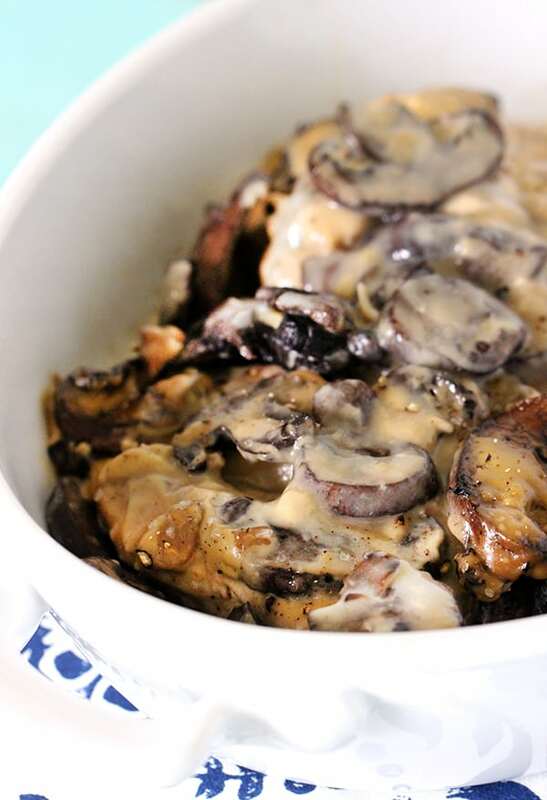 You can’t get any simpler than this Creamy Portobello Mushroom dish room Cutefetti. So simple but with loads of flavor and deliciousness. Are you a sweet potato fan? 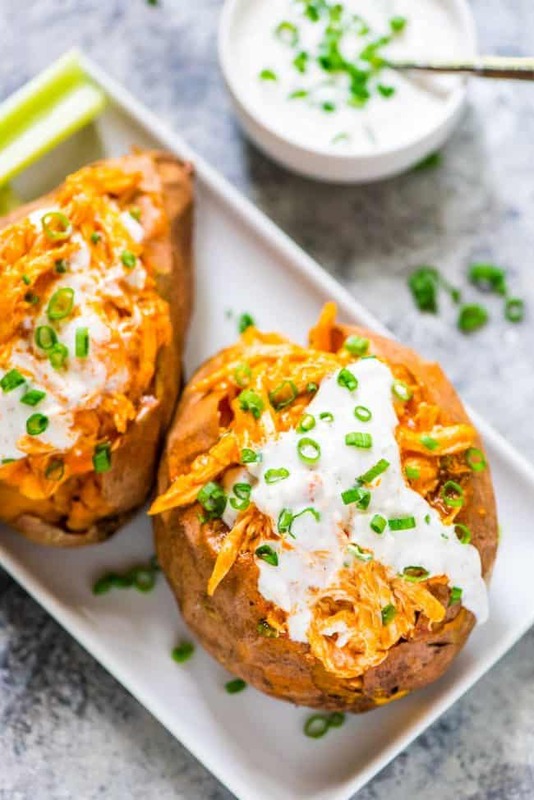 How about giving these Buffalo Chicken Sweet Potatoes a try? Well Plated shows you all the ingredients and direction details. 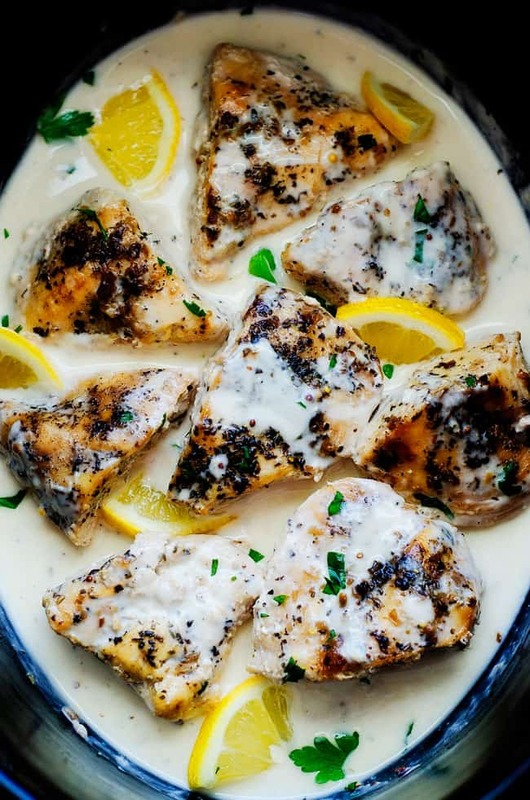 Holly at Life in the Lofthouse has a tasty Creamy Lemon Chicken crock pot recipe that just had to be added to this roundup. I mean look how tasty right?